Shown below are a select number of color offerings used on Harley Davidson motorycles. 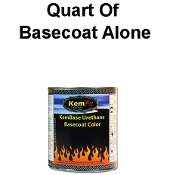 Colors are listed as motorcyle kits but quarts alone, gallons alone, and gallons kits may also be purchased in the listings indicated. 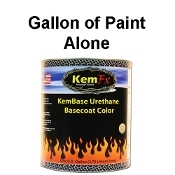 Due to variations in color from their factory we only recommend these color for overall painting. Don't see your color listed? Contact us at info@thecoatingstore.com with your bike's color name and model year.